Vitamin D3 is a mandatory vitamin during the autumn and winter period, especially for the sun-deficient Northern European nations. The liquid and fat-soluble vitamin D is essential for 3 000 important bodily processes. The major role of vitamin D is facilitating the absorption of calcium from food and transporting it to the bones. Low blood levels of vitamin D hinder calcium absorption, which leads to osteoporosis, decreased bone density, and rickets. Low vitamin D levels may cause bone and muscle pain, chronic migraine, depression, and chronic fatigue. Vitamin D increases the levels of antiviral, antibacterial, and antiparasitic immune factors. 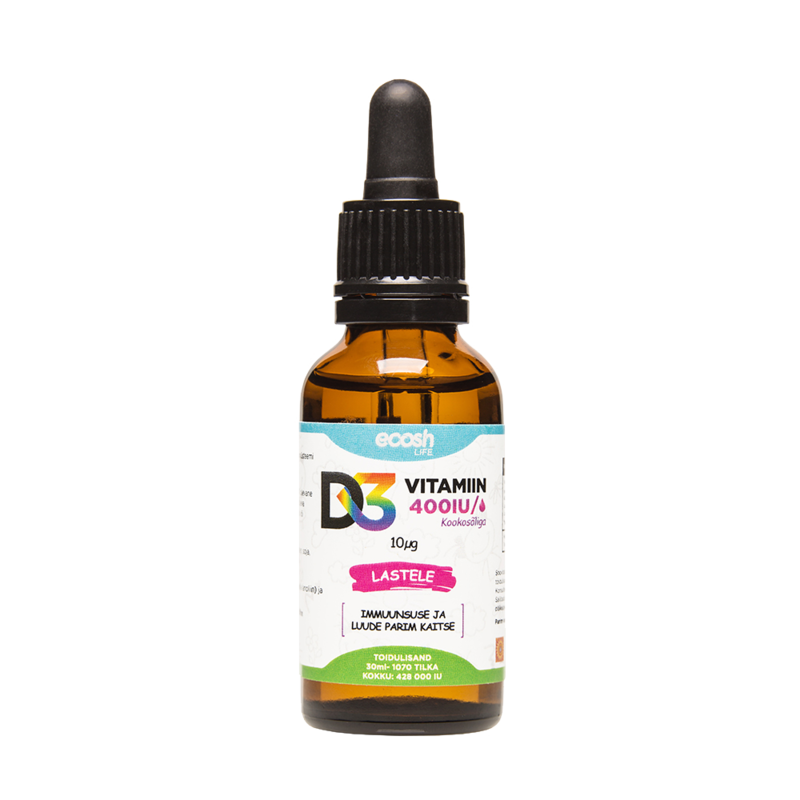 The vitamin D3 supplements produced in Estonia use organic MCT coconut oil as carrier. Vitamin D3 (cholecalciferol) is derived from lanolin produced from sheep wool. Liquid vitamin D is bottled in glass pipette dropper bottles. You can have your vitamin D levels measured in a private medical lab or at the general practitioner’s office. NB! It is worth knowing that the person staying in the sun without suntan lotion and over body clothing gets naturally 10,000 to 15,000 IU for a 15-minute period.